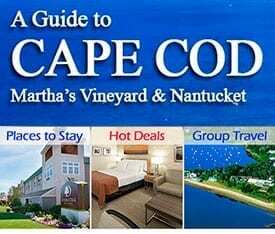 Do you own a Vacation Home or simply live on Cape Cod part-time? Ownership of a home on Cape Cod brings with it unique responsibilities. In addition to the cold, snow, and ice that blanket our area during the winter months, even during the summer, the Cape’s Climate, brings heat and humidity along with the potential for hurricanes, lightening, etc. all of which can cause problems. HOW WILL YOU KNOW WHAT HAPPENS TO YOUR HOME WHILE YOU ARE AWAY, BE IT ON VACATION OR AT ANOTHER PLACE OF RESIDENCE? If your home is not monitored on a consistent and regimented basis, damage may occur to roofs, windows, landscaping, and other property. If these problems are not discovered and addressed quickly, further complications can arise. Without a professional Home Watch Service to monitor your investment, these conditions can result in hundreds or thousands of dollars in cost to you. 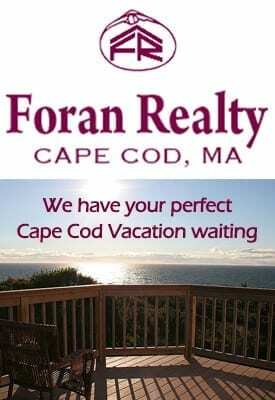 For those of you who are not full-time Cape Cod residents, Foran Realty, Inc. can provide Peace-of-Mind while you are away. As a local, family-owned business serving the Mid Cape, we are well aware of the consequences any of the above can have on your valuable Cape Cod property. Perform twice-monthly visual inspection of all items listed under “Prevention Services” on the enclosed Checklist Additional Visits also available including emergency and non scheduled. *Reports emailed, faxed or mailed to you, the homeowner, following each visit. These services can be performed as part of your Home Services package or on an “as needed” basis. These services are provided on an “as needed” basis for an additional fee. Please contact our office for pricing specific to your particular needs. These services are provided on an “as needed” basis by qualified local subcontractors or our professional staff for an additional fee. Please contact our office for pricing specific to your needs. WITH FORAN REALTY’S CAPE COD PROPERTY MANAGEMENT’S DEDICATED STAFF MONITORING YOUR HOME, ANY PROBLEMS CAN BE IDENTIFIED AND ADDRESSED IN A TIMELY AND PROFESSIONAL MANNER. OUR STAFF IS AVAILABLE TO RESPOND IN CASE OF MAJOR EMERGENCIES 24 HOURS-A-DAY AND TO COORDINATE EFFORTS TO ADMINISTER ANY NECESSARY REPAIRS.